A "double" ear cuff, available in black, red, green, gold (tarnish resistant brass), silver color or natural uncoated copper, wraps around the edge of your ear. This is one ear cuff that is made to look like two. This is good if you want it to look like you have multiple piercings on the outer edge of your ear without actually having to get more piercings. 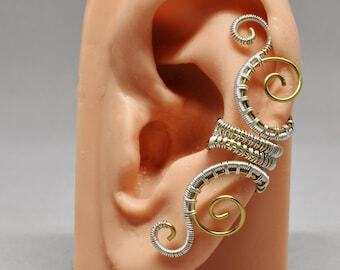 These ear cuffs look great when worn alone. They also make a great accent to a pair of earrings. 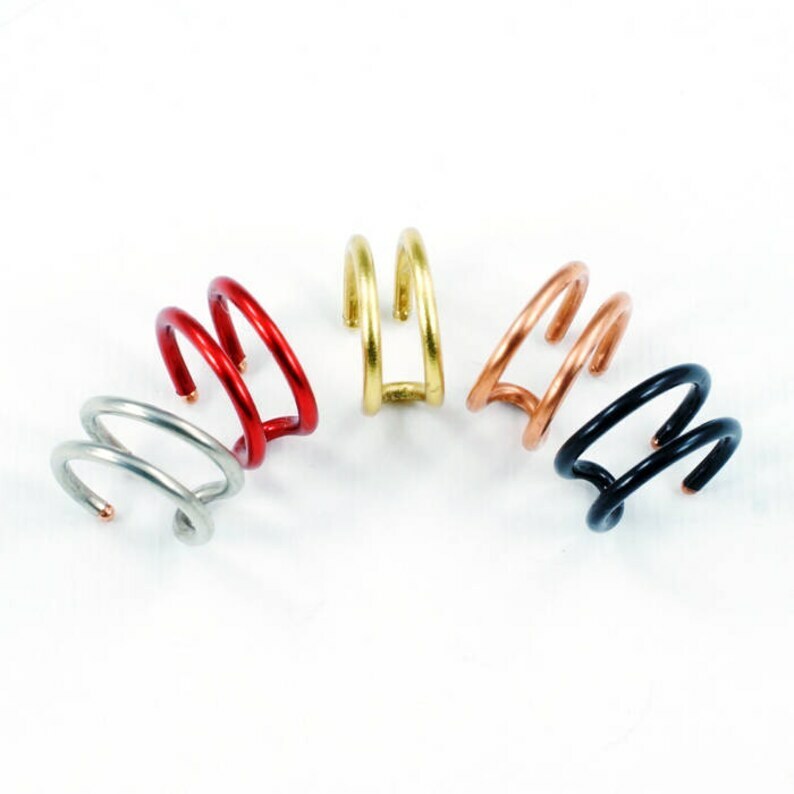 If ordering more than one ear cuff and you want them to be different colors, you MUST put them into your cart individually, properly indicating which color and ear preference for each one. Because of the way the ear cuffs are filed, the black, red, green and silver colored ear cuffs will show a small amount of copper on the ends. However, this should not be noticeable when worn. You MUST select the color you want using the drop down menu above the add to cart button. If, for some reason, you are not able to select a color, you can leave a message in the notes to seller box during checkout or contact me immediately afterward. If no color is selected and I do not receive a message, a copper ear cuff will be sent.